Do you want to build a snowman??? No! You want to build a treehouse! 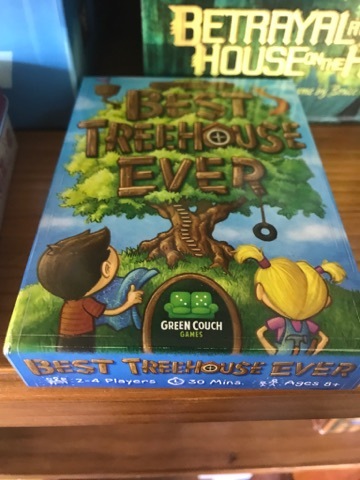 But not just any old treehouse, the best treehouse ever! And the Dice Men will tell you how in this weeks what we’ve been playing lately. With Mark calling in sick with only minutes to spare, Leon and Garth wade through lots of news and Kickstarter updates to keep you ahead of the board gaming curve! Listen in and have you fill of gaming goodness with thanks to Area 52!